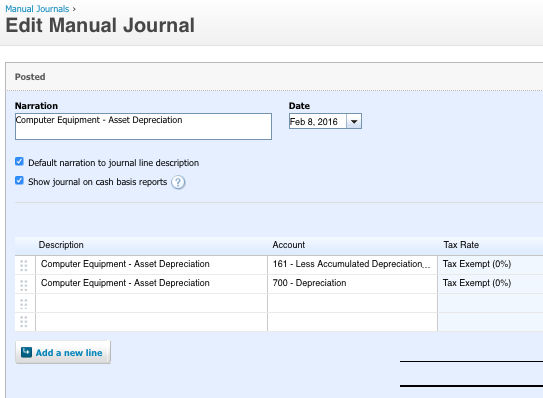 How do I remove (hide) journal entries from my Xero Cash Basis Reports? Asset.Guru posts depreciation automatically into Xero on the last day of the month every month. The beauty of Xero is that you can run your books on either a cash or accrual basis. Step 6: You should now be in the View Manual Journal entry screen like the one below.